A Porsche Macan test drive will convince you of the viability of the performance SUV. Years ago, the very idea of a car that could operate as both a performance vehicle and a capable, off-road SUV was met with doubt. Yet Porsche charged ahead anyway, forging a new territory of lightning-fast SUVs that can cut through traffic as well as they could handle a muddy back road. 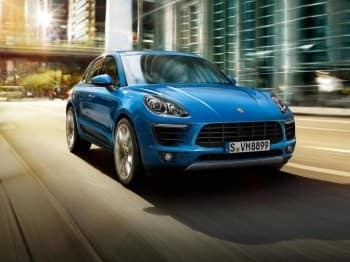 The Porsche Macan delivers a 3.6 liter twin turbo V6 with performance modes that can help use that power in different ways depending on the task at hand. It’s got cornering grip to spare, aided by a smart suspension and excellent braking performance. 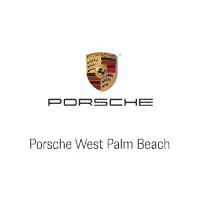 Porsche deserves special recognition for its recent pioneering in brake materials and technology. This aids in both safety and performance, giving you shorter braking distances and tighter control. It’s also a must for bad weather conditions, such as hard rains and high winds. The Macan’s look also deserves mention. This is a sleek SUV that essentially translates performance car lines into the body of an SUV. Porsche has done a stellar job of moving beyond the conventional aesthetic of the SUV. All their lines, and especially the Macan, essentially look and act like overgrown sports cars. We love the interior of the Porsche Macan as well. Everything is lined up in a way that’s both fashionable and sensible, easy for the driver to command with just a touch. The audio by Bose is also pretty great. This is one of those cars that’s made for high-speed cruising on days when you just have to drive, music pumping and windows open. Take a Porsche Macan test drive and you’ll understand why all the elements of this performance SUV fuse into a spectacular experience. It has identity to spare and makes you feel in command of the road.